Jase Herl. Credit: Rich Kurtzman. 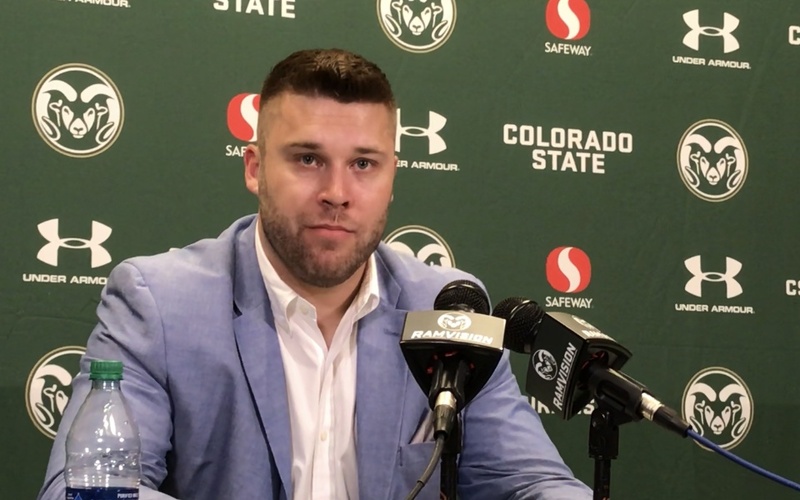 As the Colorado State men’s basketball team inches closer to the end of their season, many names from around the country will be thrown as the potential next head coach of the Rams. Ranging from former CSU hoopsters to young assistants on the rise, athletic director Joe Parker is going to have a wide variety of valid choices for the gig. Obvious candidates would include former CSU assistants Craig Smith (South Dakota) and Niko Medved (Drake). The two are familiar with the program, and have each had success as head coaches at their respective universities. Perhaps the highest-profile candidate would be CSU women’s basketball legend and current San Antonio Spurs assistant Becky Hammon. Hammon has worked under Spurs head coach Gregg Popovich since August 2014 and has been previously been linked to other open positions over the years. According to multiple reports, Hammon turned down the women’s head coaching position at Florida in March 2017. Just a few months after that, Hammon’s name was thrown into the mix for an open general manager spot with the Milwaukee Bucks. It’s obvious that Hammon is an extremely valued commodity in the basketball world, but with the possibility of landing a head coaching job in the NBA, I’m not convinced that Hammon would want to return to Fort Collins. While the names listed above may be some of the easiest candidates to identify, there are a variety of choices that are not quite so easy to spot. My first choice would be current CSU interim head coach Jase Herl. Since taking over as interim head coach on February 10, Herl has made the best of an extremely awkward situation and has impressed the Ram faithful with his swift action. Less than two weeks after getting the nod, Herl opened practices to the media and openly recruited the community to attend games to support the squad. In his first game as head coach, CSU scored a season-high 90 points in a win over San Jose State. Three games after that, Herl helped CSU recover from a brutal home loss to Boise State with what was arguably the team’s best performance of the season in a loss at Nevada on Feb. 25. At 30 years old, Herl is far from the traditional hire, but he is considered one of the prominent young coaches on the rise. In April 2017, Herl was named to Under Armour’s 30-under-30 honorees, recognizing a group of up-and-coming young coaches in men’s college basketball. More importantly, Herl has shown that he gets what it takes to be a successful young coach in this game. As a former college basketball player, Herl knows where these guys are coming from and can relate to them in ways that most will not be able to comprehend. He has the recruiting connections to help build up the program right and the acumen to handle the stressful time periods. Sure, he is incredibly young and would likely be considered a gamble. But the program could get him for a fraction of what they paid Larry Eustachy, and he could immediately bring some stability to a program that desperately needs it. Somewhere along the line, people have had to take a chance on every successful coach in the game. It would be a mistake to overlook an extremely strong candidate simply because he is ‘too young’. Justin Michael can be reached on Twitter @JustinTMichael.